The first five minutes of George R.R. Martin’s upcoming series Nightflyers have been released online. It starts with star Gretchen Mol floating through a spaceship, stricken with panic as she re-activates the gravitational pull. Then, she begins to transmit a message that the ship, the Nightflyer, has sustained heavy damage, while the crew has suffered multiple fatalities. She then pauses as another member of the crew strolls through the vessel whistling, only resuming were warning after he leaves the room. You can check out the clip in the post below! The series stars Mol (Boardwalk Empire) as Dr. Agatha Matheson, alongside Eoin Macken (The Night Shift) as Karl D’Branin, David Ajala (Fast & Furious 6) as Roy Eris, Sam Strike (EastEnders) as Thale, Maya Eshet (Teen Wolf) as Lommie, Angus Sampson (Fargo) as Rowan, Jodie Turner-Smith (The Last Ship) as Melantha Jhirl, and Brían F. O’Byrne (Million Dollar Baby) as Auggie. The series is based on author George R.R. Martin’s novella and the 1987 film of the same name. Jeff Buhler (Jacob’s Ladder) wrote the adaptation for television and will executive produce alongside Daniel Cerone (The Blacklist), who will also serve as showrunner. Martin will also executive produce, along with Gene Klein (Suits), David Bartis (Suits) and Doug Liman (Live. Die. Repeat) of Hypnotic; Alison Rosenzweig (Jacob’s Ladder, Windtalkers) and Michael Gaeta (Jacob’s Ladder) of Gaeta Rosenzweig Films; and Lloyd Ivan Miller and Alice P. Neuhauser of Lloyd Ivan Miller Productions. Robert Jaffe (Nightflyers – 1987) will produce. Andrew McCarthy (Orange is the New Black) will be a producer-director on the project. Mike Cahill (I Origin) directed the pilot. The series is being produced by Universal Cable Productions. 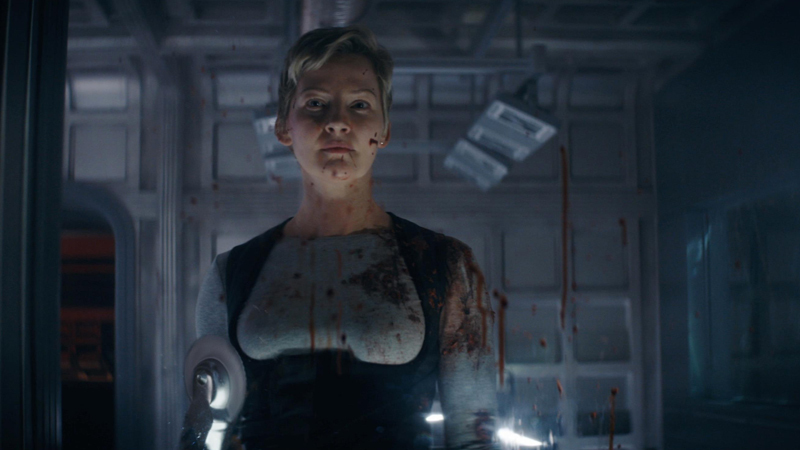 Netflix is co-producing and has the first-run rights to the series outside of the U.S. Nightflyers will arrive on SYFY this December in the US and on Netflix worldwide.